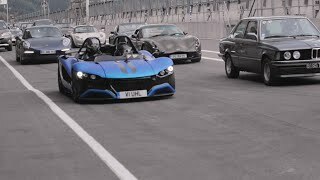 VUHL has officially unveiled their 2014 VUHL 05 road-legal lightweight supercar at the Royal Automobile Club in London. 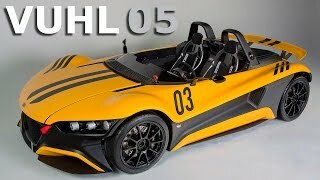 VUHL (the name is pronounced ‘vool’ and stands for Vehicles of Ultra High-performance and Lightweight) is the brainchild of brothers Iker and Guillermo Echeverria, whose Mexican/American design company penned the breath-taking 05. 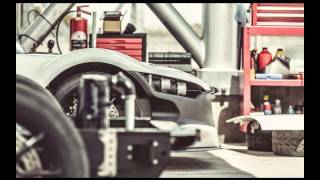 The aluminium monocoque chassis endows the 05 with a remarkably high level of torsional rigidity for optimum handling. The standard body is made from RTM reinforced plastic, but carbonfibre is an option. The aero features include a flat underbody, front and lateral splitters, rear diffuser and rear spoiler. The model is powered by a 2.0-liter DOHC turbocharged EcoBoost four-cylinder engine that develops 285 bhp (212 kW) and 420 Nm (310 lb-ft) of torque. It is connected to a six-speed manual gearbox. Steering is by a high ratio rack and pinion system. 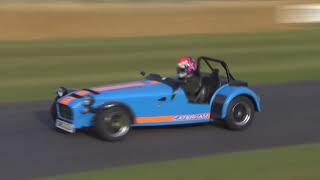 The car accelerates from 0-100 km/h in 3.7 seconds and hits a top speed of 245 km/h (152 mph). Deliveries will begin in spring of 2014 and pricing starts from £55,000 ($83,945 / €64,555). Initial sales will be confined to the UK and North America.